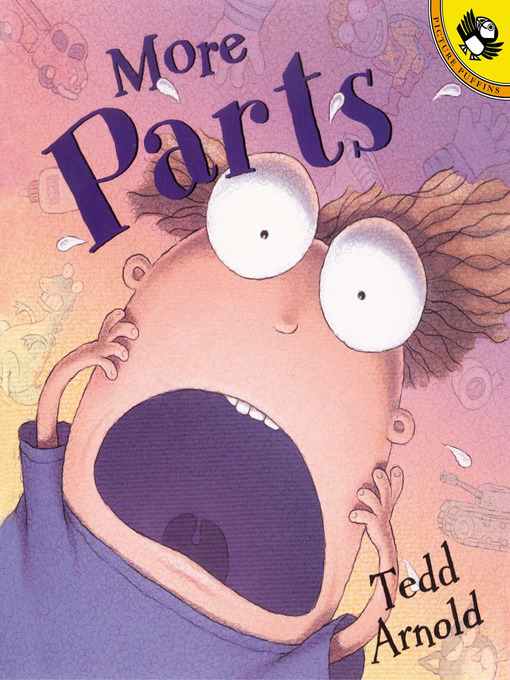 The item More parts : Parts Series, Book 2., Tedd Arnold, (ebook) represents a specific, individual, material embodiment of a distinct intellectual or artistic creation found in Charlotte Mecklenburg Library. Give me a hand . . . hold your tongue . . . scream your lungs out . . . what's a kid to do if he wants to keep all his body parts in place? Well, one thing is for sure, he'll have to be creative. Like, if you want to keep your heart from breaking, just make sure it's well padded and protected by tying a pillow around your chest. Want to keep your hands attached? Simple-stick them on with gloves and lots of glue. Just be careful not to laugh your head off! More parts : Parts Series, Book 2.